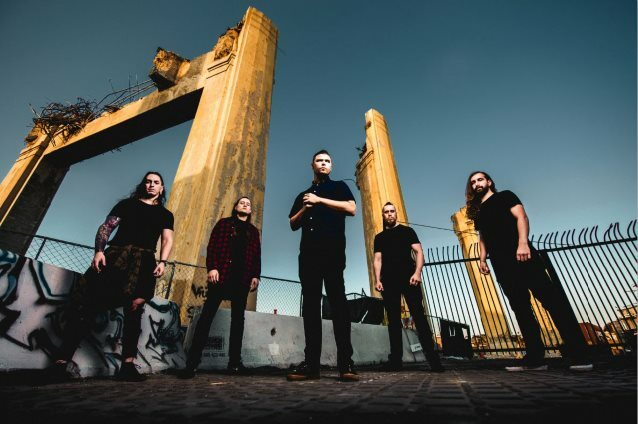 Progressive death metallers FALLUJAH have announced the departure of their vocalist Alex Hofmann. The band said in a statement: "A decade-long journey has just ended for one of our founding members, and now he begins a new path separate from our own. His dedication and creativity have been a vital part of FALLUJAH for the last ten years, but we respect his decision and support him wholeheartedly. "The 'Dreamless' touring cycle has been our longest and most challenging yet; taking us across the planet with bands we respect and admire while molding this band into a brotherhood. These experiences have brought us together and proven that this is what we are meant for. Alex's departure will bring a new period of growth and we intend to come out of it with something groundbreaking for our fans. Hofmann adds: "The reasons for my departure are both complicated and difficult to summarize; but one thing I know now is that in order to begin a new chapter in life, you must inevitably close the previous one. "FALLUJAH is currently on a nonstop skyward trajectory and my departure will not compromise this in the slightest. I love my bandmates to death and I will still be involved in a certain respect after my replacement is solidified. I have to also take the time to thank our manager and mentor EJ Johantgen, our A&R Monte Conner and everyone else at Nuclear Blast, our agents JJ Cassiere and Marco Walzel, Karim at Indiemerch and Florian at Impericon, as well as all the others who've ever worked with me behind the scenes keeping this band going. "Thank you to our fans for ten years of wild nights, stage dives, bloody noses, circle pits and hangovers. To my friends in the touring world, I'm not going anywhere, you will all see me around still. My last show with the band will be Bay Area Death Fest in San Francisco, and I cannot think of a better way to go out!" Bay Area Death Fest will take place at the DNA Lounge in San Francisco on July 20. FALLUJAH will continue to with their juggernaut-like-momentum this year, with several European festivals (Brutal Assault, Summer Breeze, Ieperfest), a spot on Ozzfest Meets Knotfest, and an upcoming North American tour with THY ART IS MURDER, DECAPITATED and GHOST BATH. "Dreamless" was released in April 2016 via Nuclear Blast Entertainment. The CD was recorded at Sharkbite Studios with producer Zack Ohren (ANIMOSITY, SUFFOCATION, ALL SHALL PERISH, DECREPIT BIRTH), and was mixed and mastered by Mark Lewis (DEVILDRIVER, CANNIBAL CORPSE, WHITECHAPEL, THE BLACK DAHLIA MURDER, CARNIFEX) at Audiohammer in Sanford, Florida. Cover art was created by Peter Mohrbacher.